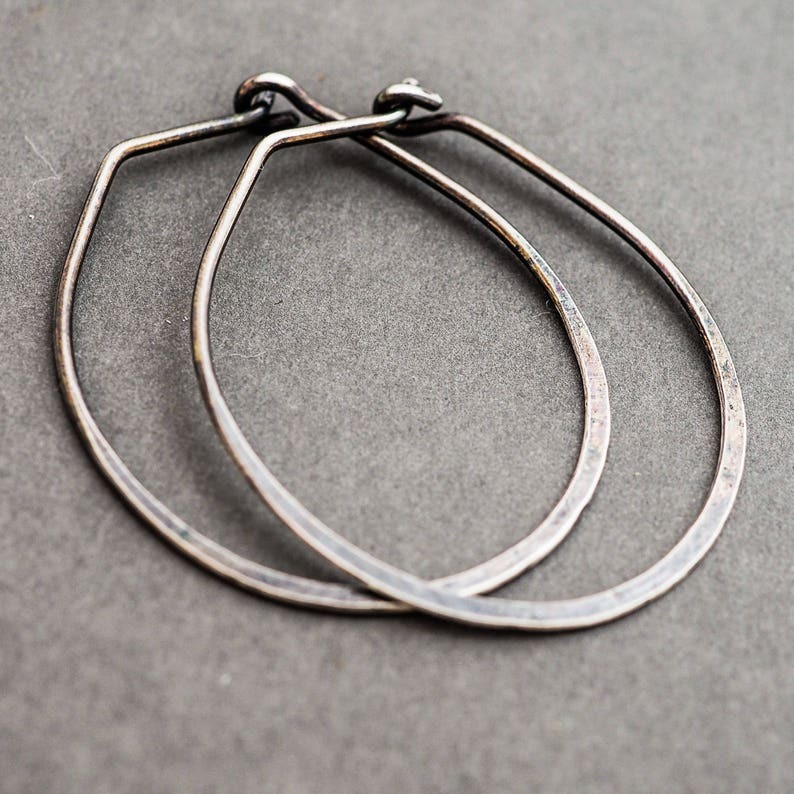 Hoop earrings, oval in shape are hammered and textured just enough for a unique, handcrafted finish, measuring 28mm (1 7/64") in width and 35mm (1 3/8") long, these earrings have a rustic oxidised. Oxidisation is a surface treatment which softens over time, only looking lovelier, softer with each wear. All Wild Forest Studio creations are handcrafted using reclaimed, recycled, refined sterling silver. Sterling Silver Hoop Earrings. Minimalist Boho Eco. Hammered Oval Everyday Wear. Rustic Oxidised Oxidized. Handmade Jewelry Jewellery.